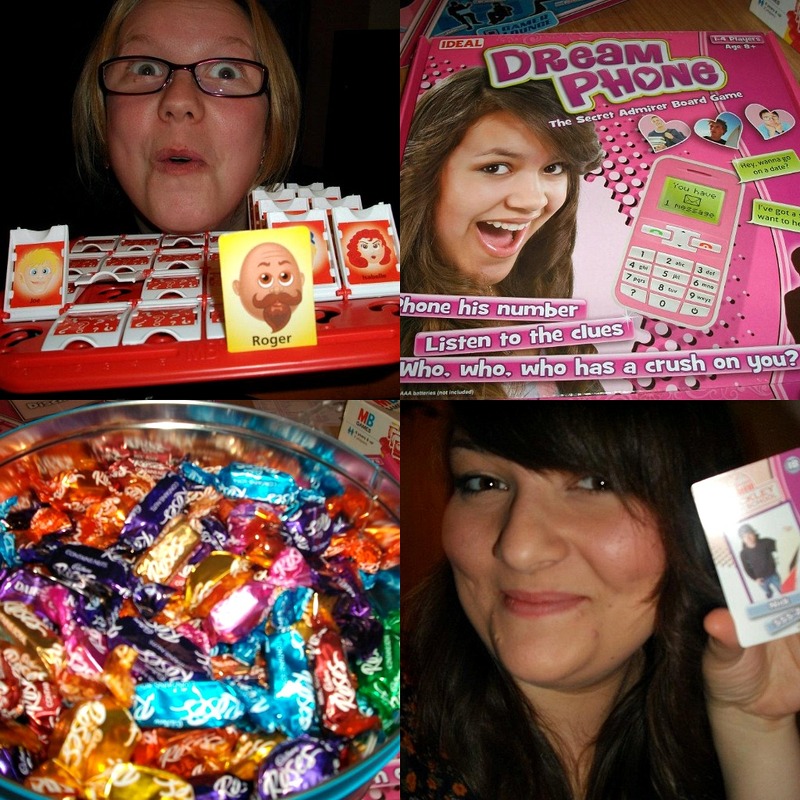 Fat Frocks: Games Night - Do they have a beard? Games Night - Do they have a beard? It's been another really busy week for me, I've been working until 9.30 most days and even went to a conference on my day off. The conference was about using social media to promote libraries so it was rather interesting. I got some great news on Tuesday, I got the job I applied for which means I will be working in the day at a higher grade rather than in the evenings and weekends on a lower grade. Hopefully this will mean more time for outfit posts, going to blogger events at weekends and most importantly, more time to hang out with my friends! I went to my friend Sarah's house (top left) and five of us managed to polish off a tin of roses and loads of mini sausage rolls, I feel sick thinking about it now! I had a total blast playing Dreamphone, Guess Who and Jenga and catching up with the girls over a cuppa. We need to make games night a regular thing. I'm going back to Sarah's tomorrow (to eat all of her food again) and have a quiet DVD night in and then I've got a gig on Sunday night so no rest for the wicked this weekend. I spent all of my day off yesterday cooking for the week and putting portions of food in the freezer. I spend waaay to much on lunch for work and end up popping in M&S a few times a week so I'm trying to save money and eat less salty, processed food. I made a carrot and ginger soup, feta butternut squash and spinach lasagne and a beef stew. I've already put the carrot and ginger soup recipe on Where Are My Knees? and the other two will go up on there next week. All super healthy and filling foods, perfect winter warmers. What do you like to do on your day off? Go wild at the weekends and hit the shops? or are you more of a home girl like me and stay in? Congrats on the job Gem! Games night sounds like such a fun idea, I will have to have a hunt round the charity shops for some old school board games and organise something similar with my friends. The carrot and ginger soup sounds delicious. I love making big batches of soup and putting them in the freezer, it's great for when you want something tasty but can't be bothered to cook! Roses candy?! Wow, my Dad dated a woman from Coventry for about 5 years when I was younger and when they went to England they would always bring back these small barrel sized container of filled chocolates (coffee, orange, rose for example, if I recall correctly). I've tried finding them ever since then, I remember they were "Rose" or something brand and perhaps these are it? I loved those chocolates. I loved 'Dream Phone' as well, the phone that came with my Dream Phone was like a brick ala Zack Morris. I always liked Guess Who as well. The food you made all looks so scrumptious, I especially am drawn to that spinach lasagna, total yum! I use to go wild on the weekends and I love to go shopping but I also like to stay in. Really depends on my mood I guess. I have such fond memories of Dream Phone! Congrats on the job too my lovely! Ooooohmygod, i used to love Guess Who lol. Roger is such a stud! Congratulations on the new job lovely! Dream phone is the best game ever. Game night sounds like a good idea to me. Dream Phone and Guess Who!! That takes me back, I used to love both of those games! Congratulations on the job :) Yay for free evenings and weekends! Just seeing that picture has mentally transported me back to the sleepovers of my pre-teen years! Love it.